This is a fine example of the Springfield Armory National Match 1911 chambered in .38 Super. The National Match guns were chambered in .45 ACP, .38 Super and in 9mm. 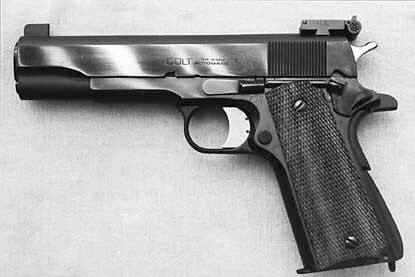 Springfield Armory made 1911’s under license from Colt, which is what this pistol is.